Serve dinner with dignity with the Weinberg Housing and Resource Center VolunTeam this month. Weinberg Housing and Resource Center provides services to over 275 people experiencing homelessness in Baltimore – including a hot meal. 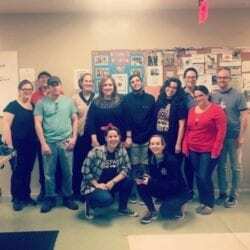 Join this group of 20s and 30s to serve dinner every other month on a Sunday evening. Email Diana Goldsmith at dgoldsmith@associated.org to sign up!